The Miramare Hotel Hersonissos is an affordable luxury hotel located in the town of Hersonissos, Crete in Greece. The hotel houses a beautiful swimming pool and the nearest beach is less than 500m away. The nearest port is just a 5-minute walk from the hotel. 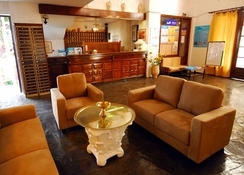 The luxury hotel is run by a family and is known for its hospitality and welcoming nature. The hotel has as many as 48 guestrooms on its premises. 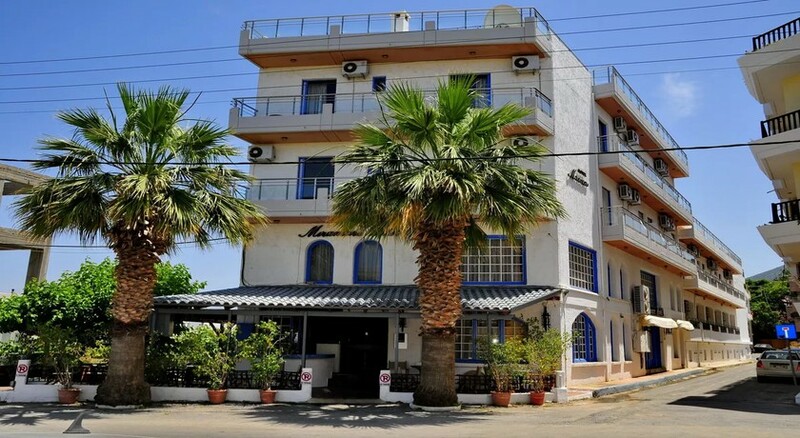 The hotel also houses a restaurant, a bar and a coffee house on its premises that serve a wide variety of international and local Greek cuisines along with alcoholic and non-alcoholic beverages. Being in proximity to the Hersonissos town, the hotel presents its guests with a unique opportunity to experience the heritage, culture and the modern-day Greece intimately. The Miramare Hotel Hersonissos is located close to the Hersonissos town and is at a distance of 3km. The closest airport, Heraklion Airport, is 23km away from the hotel. The Sitia Airport is 104km away from the hotel. The local beach is 350m away from the property. The Bus Station of Hersonissos is located 750m away from the hotel. Local tourist attractions like Port of Hersonissos, St. Paraskevi Church, Aquaworld Aquarium, Sarakino and Convention Centre Creta Maris are located within a distance of 5-7km from the hotel. On special request, the hotel management can arrange for rental cars for their guests’ local excursions. Airport drop off and pick-up can also be arranged. The Miramare Hotel Hersonissos has 48 tastefully decorated rooms with architectural elements of contemporary and minimalistic style. The rooms are categorised into three types based on amenities, space and number of occupants. Single Room, Family Room and Standard Room are the type of guestrooms available at the hotel. The rooms are equipped with amenities like air-condition, flat screen TV with satellite channels, telephone, safety deposit box, etc. The bathrooms are equipped with amenities like hairdryer, shower, essential toiletries and bath linens. The Miramare Hotel Hersonissos houses a restaurant, a pool bar and a coffee shop on its premises that serve all day. 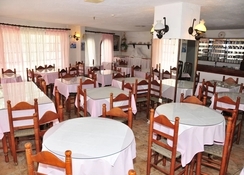 The restaurant serves a wide range of delicacies from Greek and international cuisines. All the dishes are prepared by the in-house chefs with produces that are locally sourced. 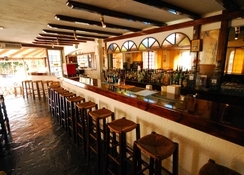 The bar serves light snacks, a variety of local wines, beers and signature cocktails. The proximity of the hotel to the town of Hersonissos offers the guests an opportunity to visit the local eateries and bars that serves international as well as local Greek cuisines. The nearby beach is lined with local bars and traditional taverns. 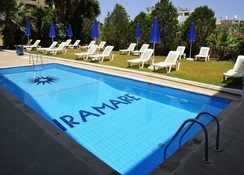 The hotel houses a beautiful outdoor swimming pool for both children and adult. The pool is lined by loungers and sunbeds and this serves as a great place for guests to relax and unwind. The guests can enjoy pool games and a refreshing swim. The guests can hire a car and visit local tourist attractions like Port of Hersonissos, St. Paraskevi Church, Aquaworld Aquarium, Sarakino and Convention Centre Creta Maris. The guests can also visit the city of Hersonissos and indulge in sightseeing, shopping, among others.